Scientific American had a cool story in the August issue about the near extinction of the human race during an iceage explaining the very similar genetic makeup of the majority of the human genome. One key part of the survival was hunter gathers living in a coastal area rich in shellfish and tubers. There is a cool online supplement with one of the scientists talking all about shellfish. Did shellfish aid human brain growth or was is our brain power that allowed us to harvest shellfish? Has anyone else found articles about shellfish, omega-3s, evolution type stuff? I think shellfish might be a really big part of a paleo diet. an interesting part of the article was the idea that early humans needed to time their shellfish harvest based on lunar cycles and tides because of the danger associated with harvesting at the wrong times thus alluding to higher brain functioning. I don't have links but I think it would likely be that we grew larger brains, used them to fish, and then fish allowed us to grow even bigger brains which allowed us to fish better, etc. Yeah, MikeD!! Bacon + Shellfish FTW!!!! bacon wrapped scallops and oysters for this guy. Either way, I'm a huge lobster fan! Shellfish are easier to harvest than most other sea meats. You can often find them laying on the rocks when tides are low. Those that are anchored like muscles can be found at the same place every time. Others need only a short dive. THeir only defense is the shell, which even not so brilliant animals can learn to open. Birds are known to fly high and drop shellfish so they will break on rocks. I am sure even a low IQ protohuman could have figured out how to smash them open with a rock. Or people with control of fire could just roast em right in the shell. They have plenty of protein and some good good nutrients in them. I'd say they would have been a very important and convenient food source for ocean dwellers and probably eaten often. But IMO, they would not have been as much relished as food sources that were rich in fat, unless of course those peoples had ready access to coconuts already. If you had coconuts and shellfish readily available, you'd be in pretty good shape for overall survival. YOu'd probably want to supplement with other things, but you could certainly get by a long time as long as you had protein and fat. Research "shell middens". Short answer is that where shellfish were available, we ate a lot of them. Bacon wrapped scallops are the ULTIMATE. YUM!! I think the records show that early hominids consumed a lot of marine- and shore-based omega-3/mineral rich food both in parallel in Africa (Turkana) and in the Mediterreanean. Funny thing is that saturated fats can increase omega-3 content in rats and I would suspect humans as well... Not a huge degree but some. 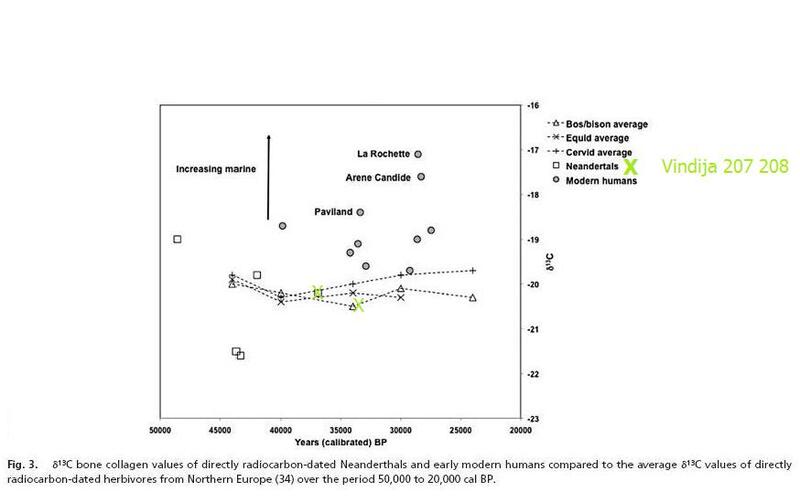 Perhaps as humans evolved and participated in migration away from marine-sources of high omega-3 content foods, natural selection for omega-3 up regulation from saturated fat dietary intakes occurred? Myristic acid is a medium chain saturated fat in gamey meat (but higher in grain-fed sources) and coconut/olive oils. Stephen-Aegis -- that's a great link!